The Philippine state is consistently described as ‘weak’, on account of its low capacity to formulate and implement policy, and its inability to successfully claim the monopoly of force. It is the theatre of two five-decade-long internal armed conflicts and home to dozens of non-state armed groups. Yet, the Philippine state has been remarkably resilient. An explanation of this resilience may be found in the early, patrimonial, formation of the modern state in the American colonial and a contemporary ideology of statism and democracy. The case of the Philippine state shows how an amorphous stratum of bureaucracy used the counterinsurgency of the Aquino presidency (2010-2016) to contest and seek to reconfigure patrimonial state structures. This was made possible by the enabling environment of the Aquino administration and, as subsequent developments have shown, ended with it as well. Nevertheless, tensions between the emergent Weberian state and patrimonial structures persist. The research seminar explores the Philippine state today and the internal tensions within. More specifically, the seminar will address the conflict and interplay between a Weberian bureaucratic state and patrimonialism in the context of the Philippines. While three factors – armed conflicts, the democratic myth, and the Aquino presidency – allowed for such an internal contradiction to form, eventually, patrimonialism proved resilient and prevailed, as attempts to transform the state were unable to alter its patrimonial structural core. Dr Balázs Áron Kovács received his PhD in 2017 from the University of New England, Australia, in politics and international studies. His research focuses on state theory, local-level peace-building, and state-society interactions of the violent kind. His book, ‘Peace Infrastructures and State-Building at the Margins’ (Palgrave McMillan), was published in July 2018. 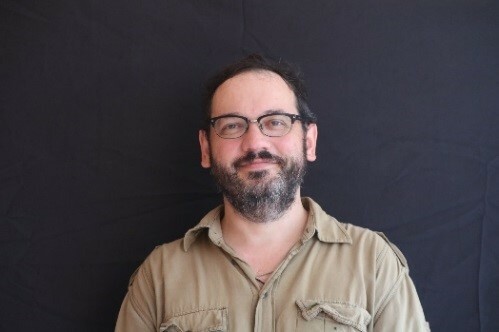 Dr Kovacs currently serves as the country director in the Philippines of forumZFD, a German NGO working in the field of conflict transformation. Prior to his current appointment, Dr Kovacs has taught at undergraduate and graduate levels in international relations at Webster University Thailand, and in peace and conflict studies at the United Nations-mandated University for Peace in Costa Rica and the Philippines.